Flattering ladies short sleeve show shirt. Flattering ladies short sleeve show shirt. 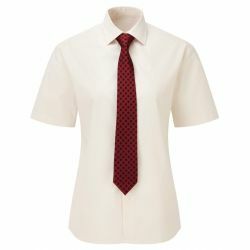 Features subtle stripe design with white collar & cuffs and Caldene embroiderey on chest. Machine Washable.